Today, Avijit Sarkar’s name is synonymous with music in Australia and his footprint on every form of music is only a testimony to his tireless work in the entertainment industry for over thirty-five years. With concerts numbering in thousands, Avijit’s repertoire includes a whole gamut of styles – from popular Bollywood and folk music to the very serious styles of “gayaki” like devotional music and ghazals. Avijit’s knowledge and mastery of numerous Indian and Western melodic and rhythmic musical instruments is the culmination of years of training under well known teachers in India– both in the Indian classical traditions and Western music. 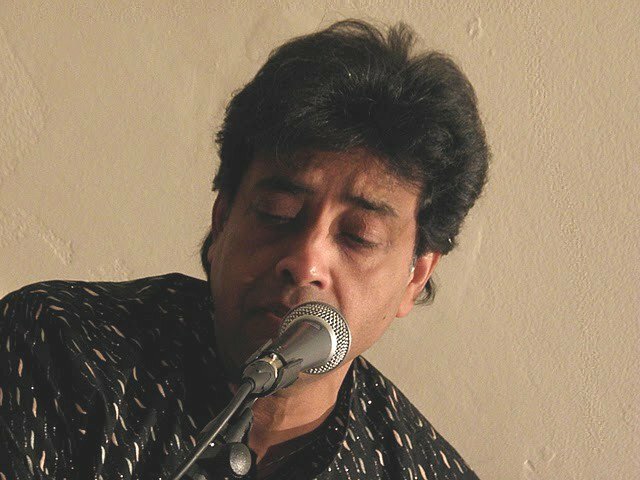 Time and again, Avijit has been called upon to provide accompaniment to legendary singers like Ghulam Ali, Abida Parveen, Anup Jhalota, Manhar Udhas and Munni Beghum. He has also trained under one of the world’s foremost puppeteers Meher Contractor and has participated in international drama and puppetry festivals. Avijit, who was associated with All India Radio and Doordarshan in India, has completed over 1700 live concerts around the world in a career spanning over 35 years in the music industry. He has composed music for Australian documentary films, radio and theater in Sydney. He has also been recognized and endorsed by APRA (Australian Performing Rights Association) as a music writer and composer. His presence on stage has been an inspiration to many young musicians and his mentoring has helped many aspiring new singers to achieve their goals. On the academic side, Avijit holds a masters degree in Mathematics and in spite of his busy schedule with musical activities, he still finds time to write and paint. His social essays, short stories and English poetry have been published and widely read; and his eye for humor and humanity have been aptly captured time and again in his cartoons and sketches. Today, Avijit Sarkar dedicates most of his concerts for charity and his passion for teaching coupled with his ideology of “giving away all his knowledge” has been the driving force behind the establishment of Natraj Academy in Sydney. hi! jst remembered u! so visited ur site! god! u r d same old avijit! jack of all trades master of all! musician, singer(cant forget ur hemant kumar songs in school), poet, painter, writter, cartoonist…. what not! i rarely sit on a computer. i do not need one! yeah! even in today`s world! so if u can send me ur mobile no, i can be in tch with u by sms or may be talk to u. this is my son abhijeet`s email id. of course u can reply on ths addrs. wn r u cmg to india? u had made a mention of ur daughtr`s weddg last year.. m doing ok here. written 4 books on art techniques. details later. awaitg ur reply! c.s.pant, st xaviers, a`bad. Those were very kind words Narendra. Let’s catch up at A’bad when I am there. Hormonica and song Hai Apna dil toh awara.